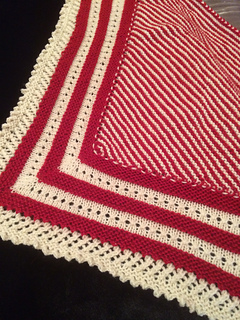 Add 4 patterns to your basket and receive a 20% discount on the total purchase price. 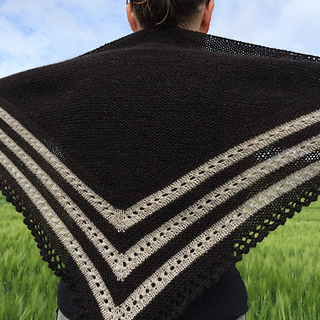 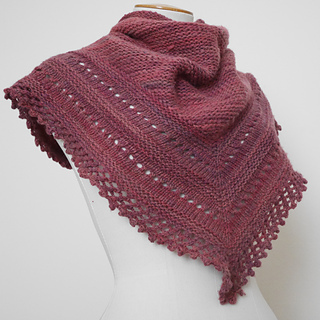 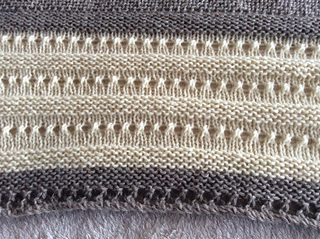 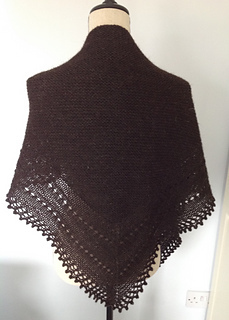 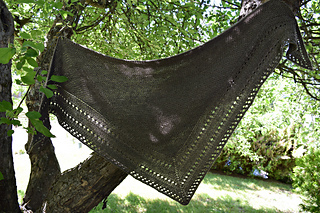 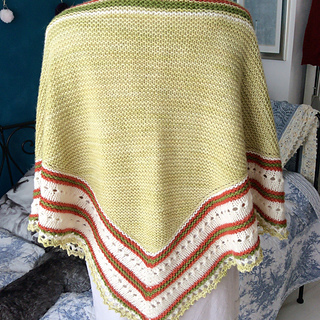 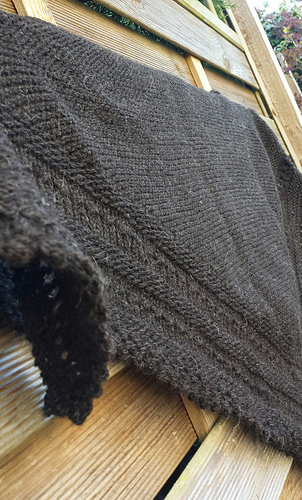 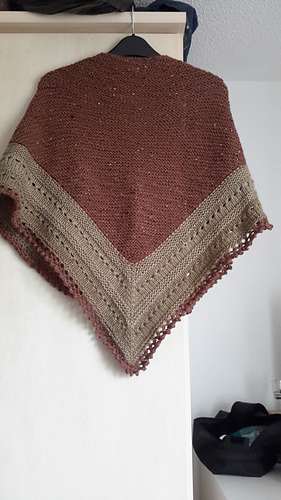 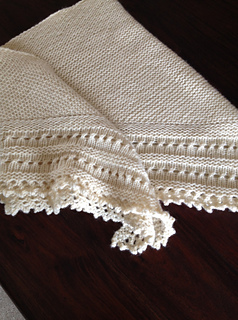 Relaxed and rustic is the theme for this generously-sized shawl. 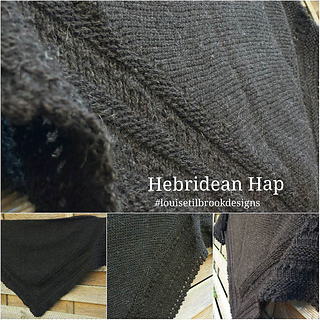 Starting with a traditional hap-style construction, the central triangle uses one full skein of this deliciously sheepy dk weight yarn. 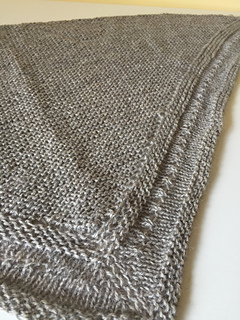 The second skein is then used to knit the simple garter and eyelet border, finished with an optional picot cast off. 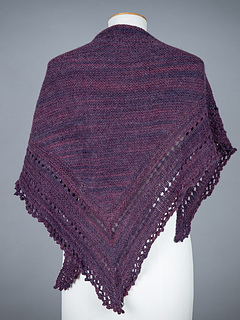 With minimal counting and stress, this shawl allows you to relax and let the natural beauty of the yarn shine through. 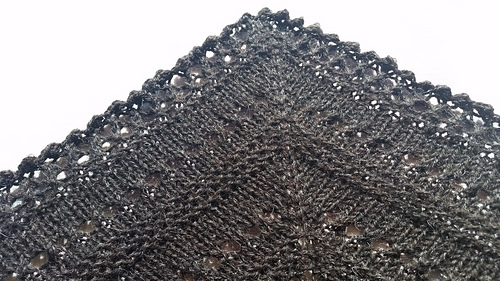 As the border only involves simple eyelet lace rows, no chart is provided with the pattern. 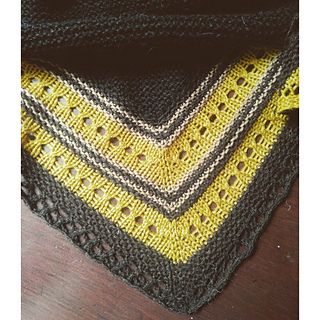 Instructions are written only. 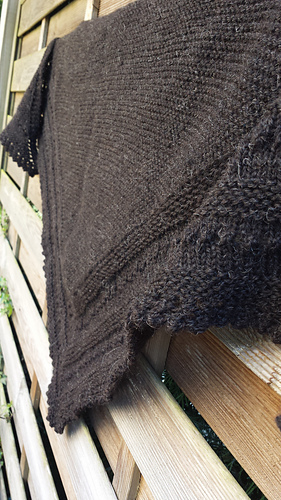 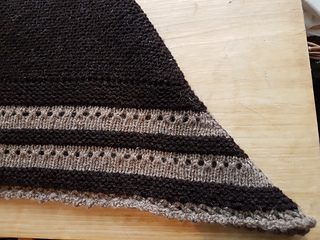 2 skeins of yarn (200g) will give you a shawl measuring approximately 55” wide by 24” deep.